Private Luxury Mountain Suite Awaits You! Property 7: Private Luxury Mountain Suite Awaits You! 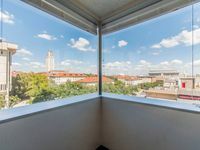 Near Pearl Brewery - Quick Access to Riverwalk, Alamo, and Downtown San Antonio! Property 9: Near Pearl Brewery - Quick Access to Riverwalk, Alamo, and Downtown San Antonio! Property 12: PRIVATE, central apartment. Close to Las Olas and beach! 6 Miles to airport. Property 14: Cozy downtown loft with KING bed, free gated parking, & free Wifi. Property 19: NEW!! Crystal Sands Beach House II at Indian Rocks Beach! CONDEAUX Beach V~ACROSS FROM HANGOUT!~Booking Spring Fast!~WALK EVERYWHERE!! Property 22: CONDEAUX Beach V~ACROSS FROM HANGOUT!~Booking Spring Fast!~WALK EVERYWHERE!! Property 24: Patio Apartment with Panoramic Mountain Views! 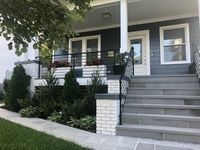 Property 30: NEW LISTING! NEWLY REMODELED! MOUNTAIN VIEWS, PET FRIENDLY ON 4 ACRES! Property 31: NEW! Winter Park Studio w/Hot Tub - Walk to Lifts! Property 32: Charming Studio in a beautiful house near the beach and close to everything! Property 35: Melanie's North Park's Secret, "Bougainvilleas Garden Oasis"
Excellent Location in Georgetown, Walk to Downtown DC, Monuments, Dupont Circle! Property 39: Excellent Location in Georgetown, Walk to Downtown DC, Monuments, Dupont Circle! Property 40: All the Comforts of Home! Property 44: *BEACHFRONT/BEACHVIEW* 2 queen beds! Brand new furniture! Sleeps 5! Best rates! Property 46: Brand New Stunning Unit - DOWNTOWN! This was our family's first visit to Austin and we LOVED the location and set-up of this rental. It allowed us to easily explore the UT campus and meet up with local friends to see other city sites. The unit itself provided ample space for a family of four. The convenience of having a Target store on the first floor made it easy to grab things we needed/forgot at home. It was clean and well-appointed with the amenities you need. I would definitely recommend this rental to other friends visiting the area . . . especially if they are planning to spend time on campus to tour the University. Thank you for a wonderful stay.